Gary B. Rudolph practices in the area of bankruptcy and other insolvency problems, representing trustees, creditors and debtors in commercial bankruptcies. He is also a mediator for the United States Bankruptcy Court, Southern District of California, and was chosen the outstanding mediator by the Judges of the Bankruptcy Court in 1991. His representation in the Bankruptcy Court includes official unsecured creditor committees, bankruptcy trustees, corporate Chapter 7 debtors, Chapter 11 debtors-in-possession, and creditors in all bankruptcy matters. He has qualified and served as a bankruptcy examiner and as an expert witness in bankruptcy matters. Mr. Rudolph has been appointed to serve on the Insolvency Law Committee (ILC) of the Business Law Section of the California Lawyers Association. He is currently chair of the ILC Legislative Subcommittee. His three year term started October 2, 2016. Mr. Rudolph is the co-vice chair of the ILC for 2018-2019. Mr. Rudolph served as the co-chair of the San Diego County Bar Association’s Bankruptcy Law section for 2015, it’s chair for 2016-2017, and the vice chair for 2017-2019. He was a member of the Board of Directors of the San Diego Bankruptcy Forum and served as president in 2015 and 2016. He currently serves as a director on the California Bankruptcy Forum Board of Directors and has held this role since 2016. Mr. Rudolph is a member and past president of the San Diego Receivers Forum. He serves on the Advisory Committee for the Local Rules of the United States Bankruptcy Court, Southern District of California and was on the Ninth Circuit Lawyer Representative Selection Committee for the Southern District of California for 2015 and 2016. 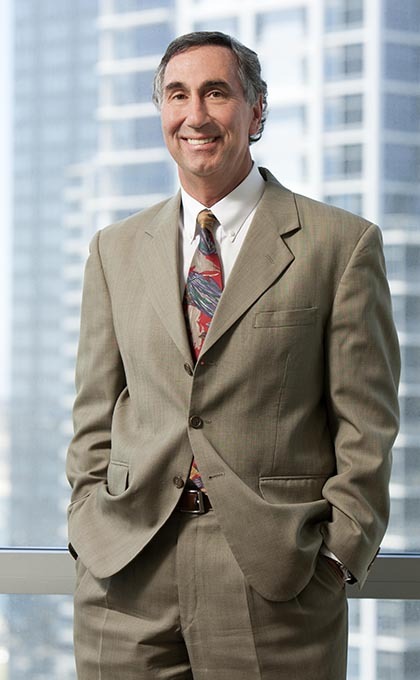 He serves on the Advisory Panel for the Bankruptcy Self-Help Center at the Bankruptcy Court through the Legal Aid Society of San Diego, and is also a member of the National Association of Bankruptcy Trustee Rules Committee. Mr. Rudolph holds Martindale-Hubbels’s AV® Preeminent™ Peer Review Rating, and was recognized in 2012 as a Top Rated Southern California Lawyer both by Martindale‐Hubbell and by American Lawyer Media. He was named a Top San Diego Lawyer in 2016-2019 by San Diego Magazine and is recognized in the top 1% of The American Registry, “Best of the Best” for 2016. He was listed as a Top Lawyer in California for 2017 by The Legal Network. He was also recognized as 2017 Top Lawyers in San Diego, by the American Registry. As a member of the National Association of Bankruptcy Trustees, he has lectured at its national conferences. He also lectures locally for the San Diego Bankruptcy Forum, the Bankruptcy Section of the San Diego County Bar, the California Receivers Forum, and has hosted radio segments on ESPN Talk Radio. He is also a frequent author on bankruptcy related issues. Mr. Rudolph is a member of the San Diego County Bar Association, the San Diego Bankruptcy Forum, the San Diego Receivers Forum, the California Bankruptcy Forum, the California Receivers Forum, the National Association of Bankruptcy Trustees, the American Bankruptcy Institute and the Federal Bankruptcy Association. He is a member of the State Bar of California and of all District Courts in California, and of the Ninth Circuit Court of Appeals, where he has been successful in argument. He is also licensed in the State of New Jersey and the United States District Court for the District of New Jersey. Mr. Rudolph is a member of the Audit Committee for the Angels Foster Family Network, and served a six year term on the board of directors and as treasurer. Previously, he was on the board for Harmonium Inc., providing after school programs for San Diego’s children. He earlier served as an editor and staff writer for the California Western School of Law Review, and was a collegiate member of Phi Kappa Phi National Honor Society at American University, where he graduated with honors.